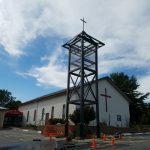 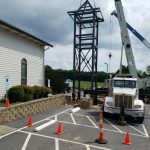 As reported here in March of this year, All Saints Church in Mills River, North Carolina, embarked on a capital campaign and construction project to expand the facilities of this growing congregation. 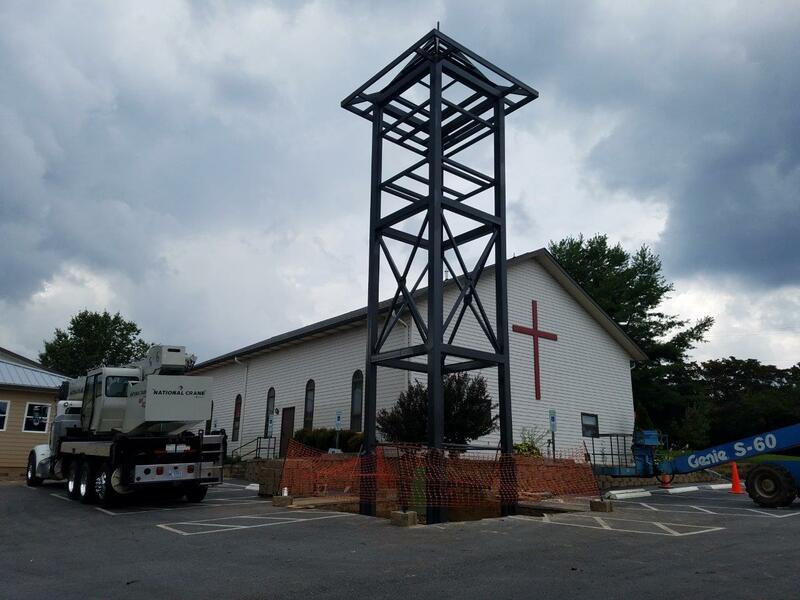 One of the items to be erected was a bell tower on the property. 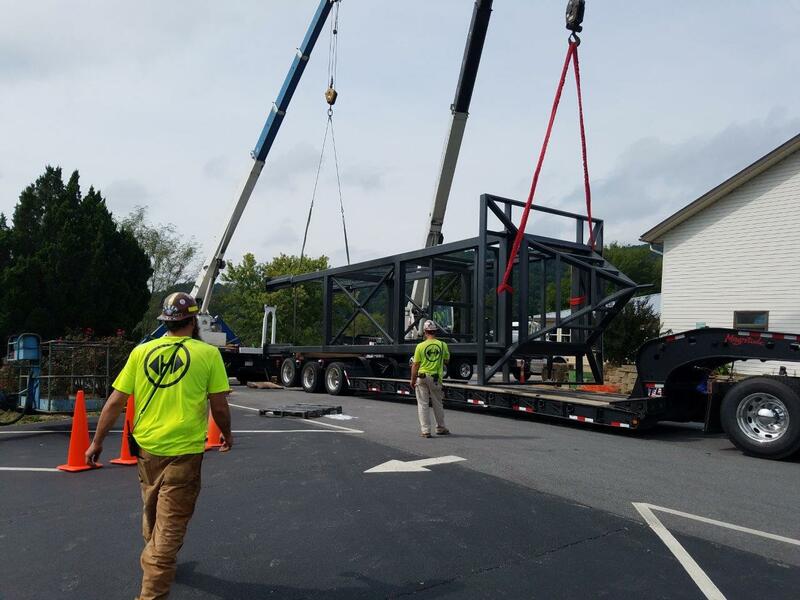 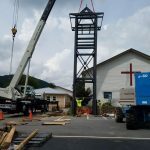 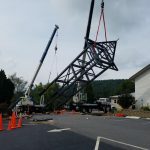 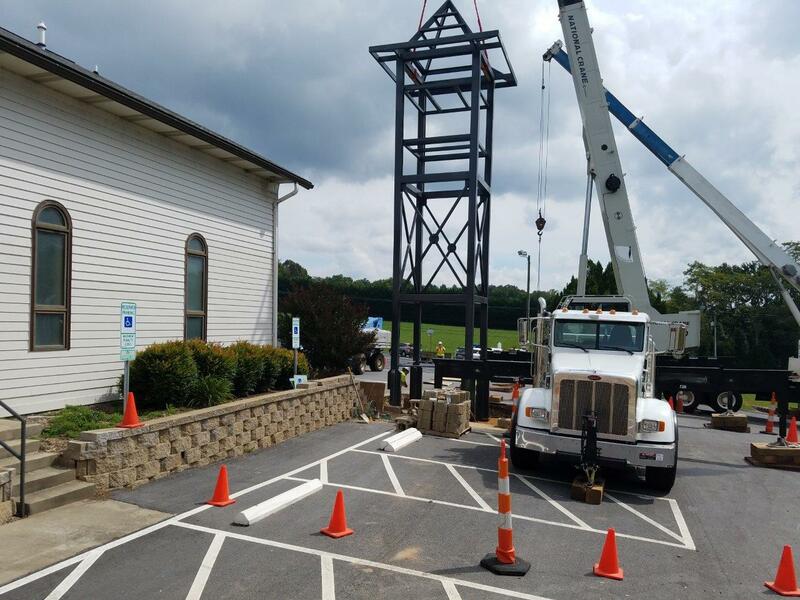 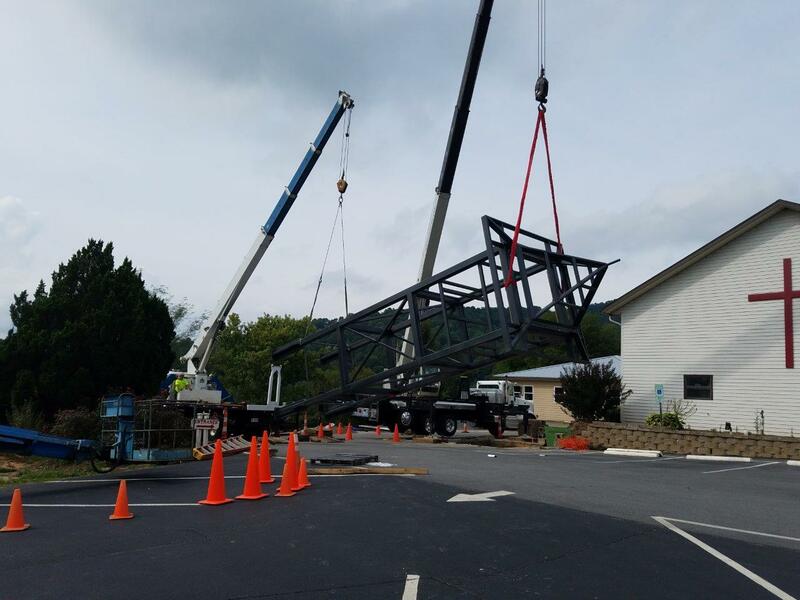 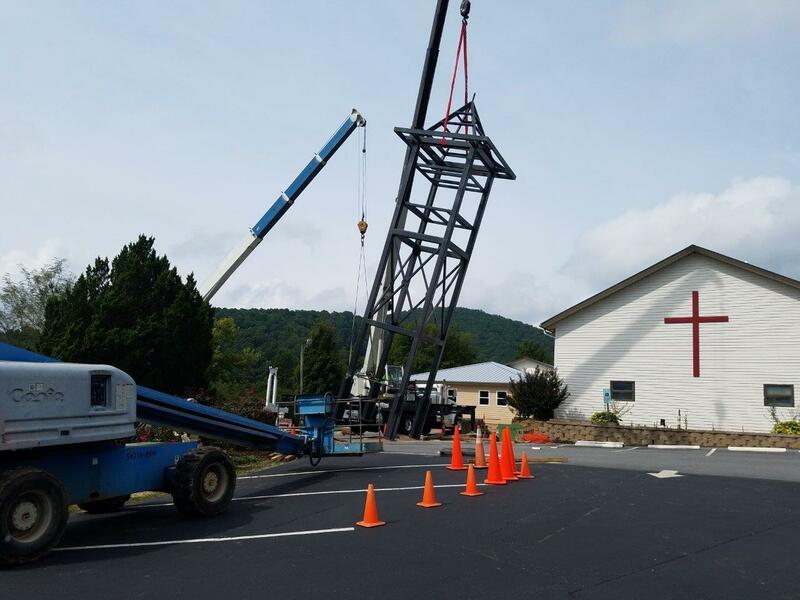 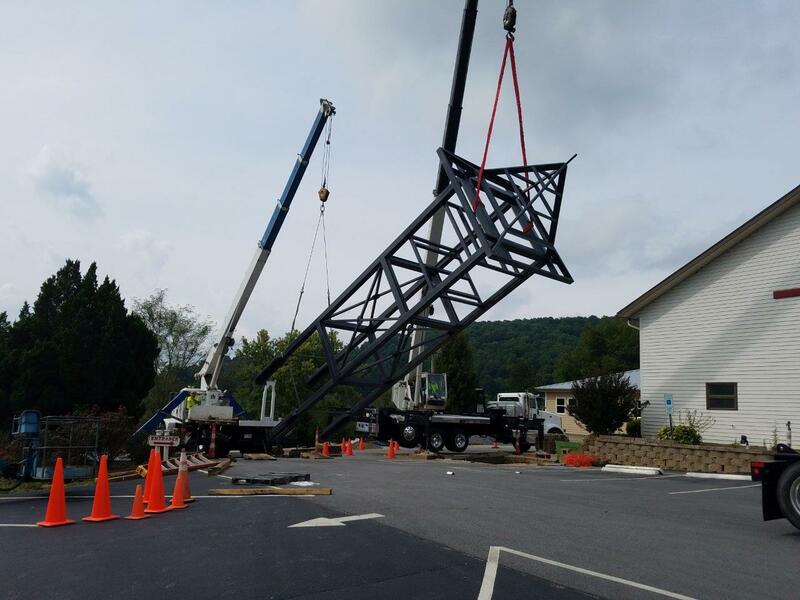 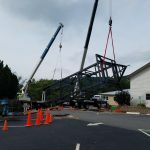 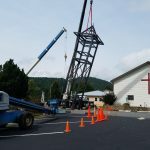 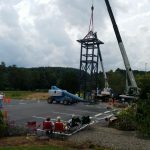 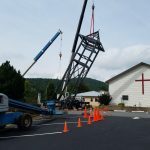 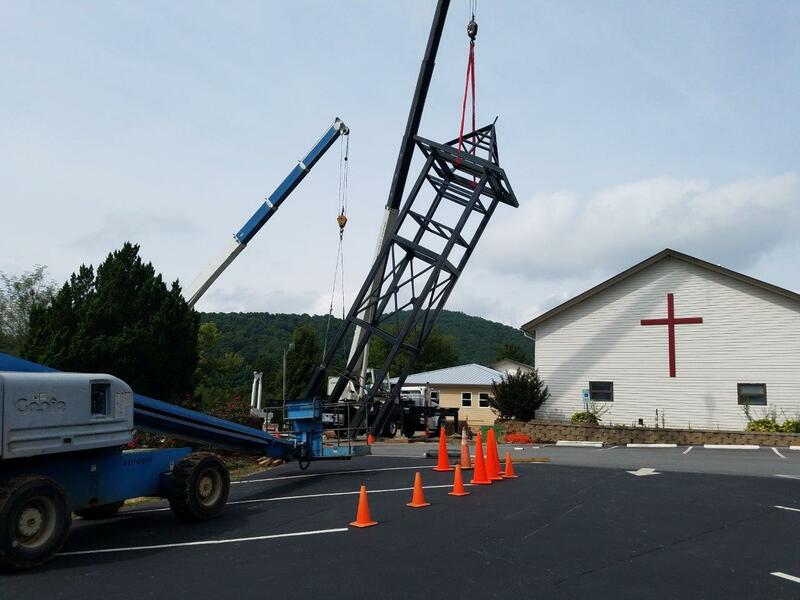 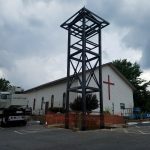 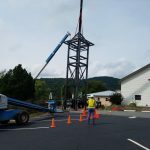 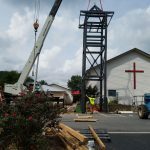 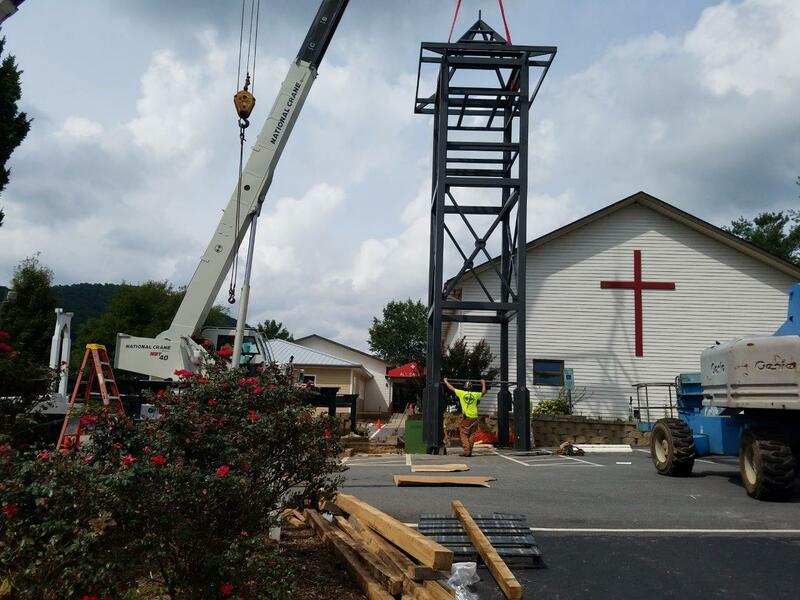 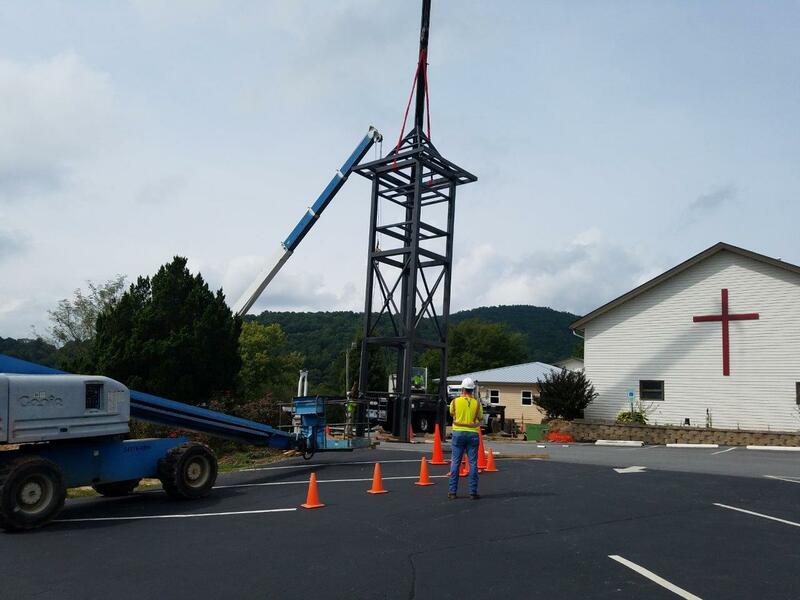 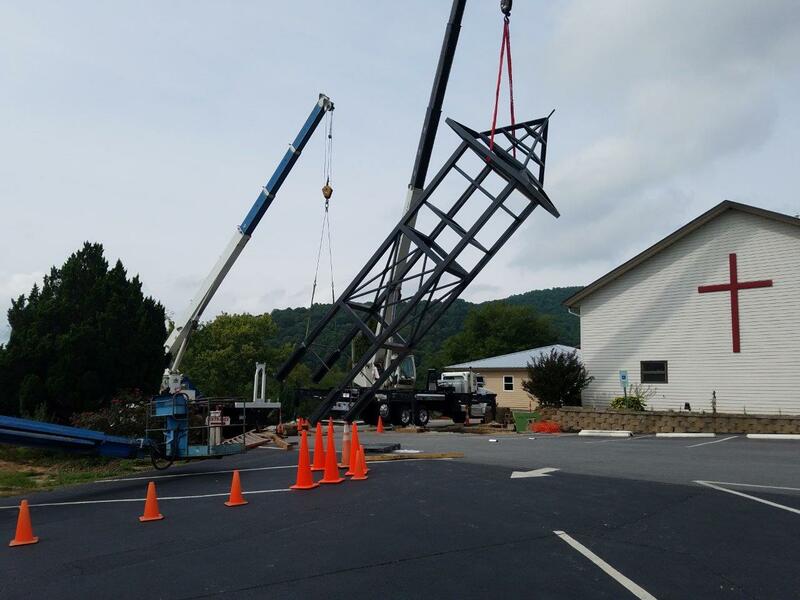 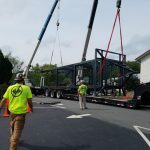 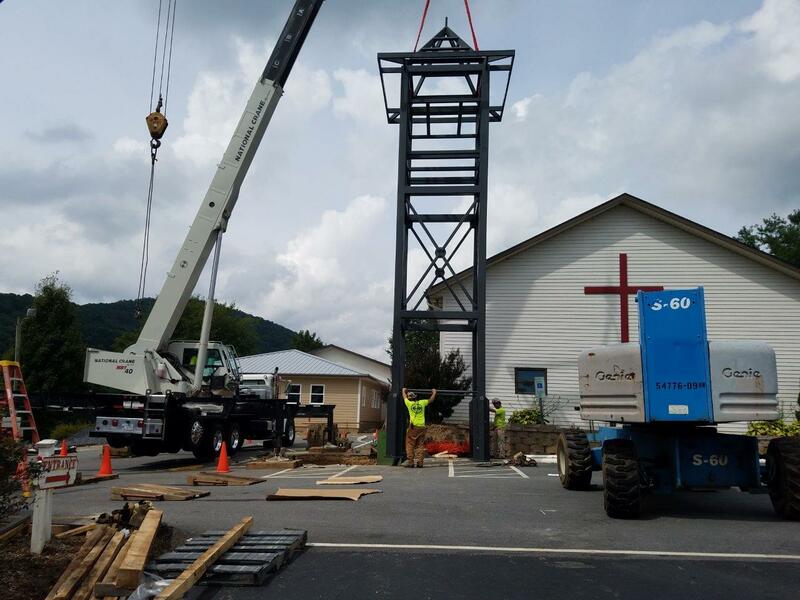 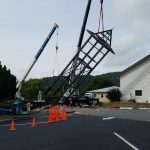 On September 5, 2018, that bell tower arrived on the property of the parish and was set in place by the bell tower fabricator, Dave Steel Company of Asheville, North Carolina. 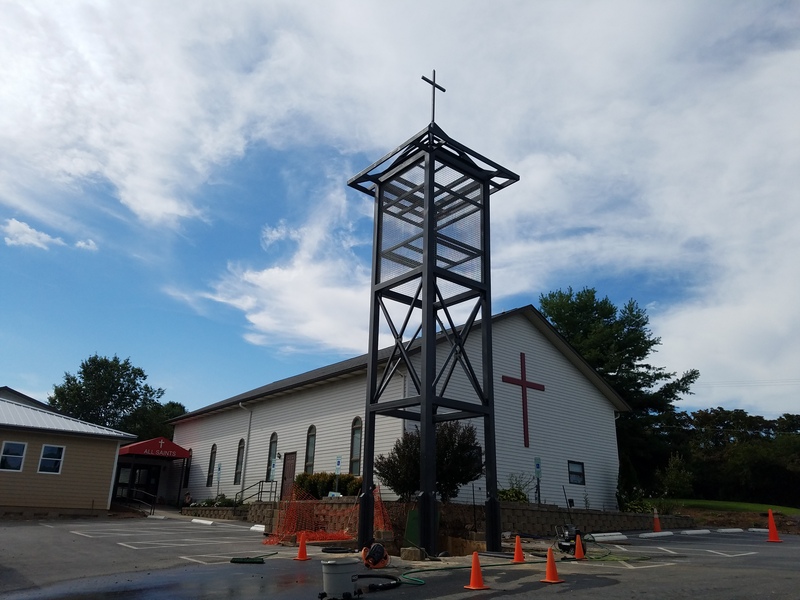 The finishing work was completed on September 6 with the installation of stainless steel mesh around the upper third of the tower and a Cross was set in place on top. 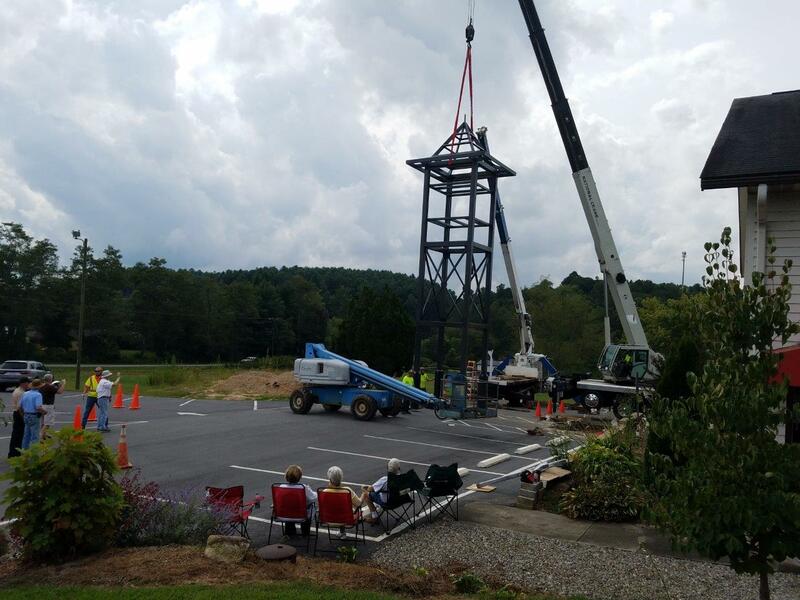 A three bell carillon will be installed in the tower when they are cast and delivered by Meeks, Watson, and Company of Georgetown, Ohio. 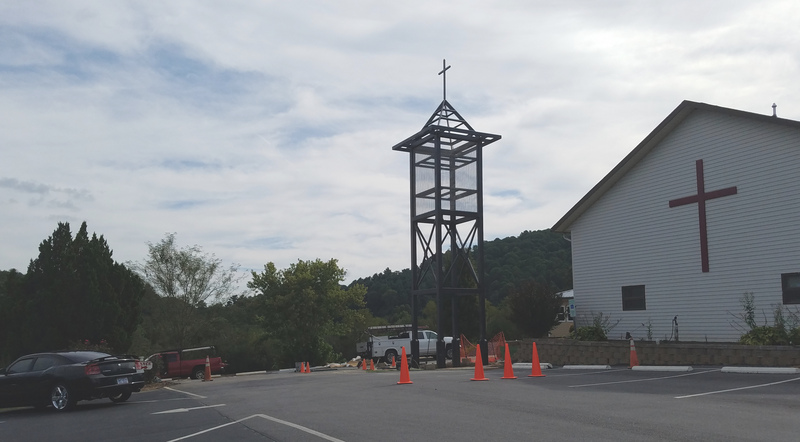 The construction of an office addition is ongoing, as is a planned rock façade and architectural panels on the front wall of the church building. 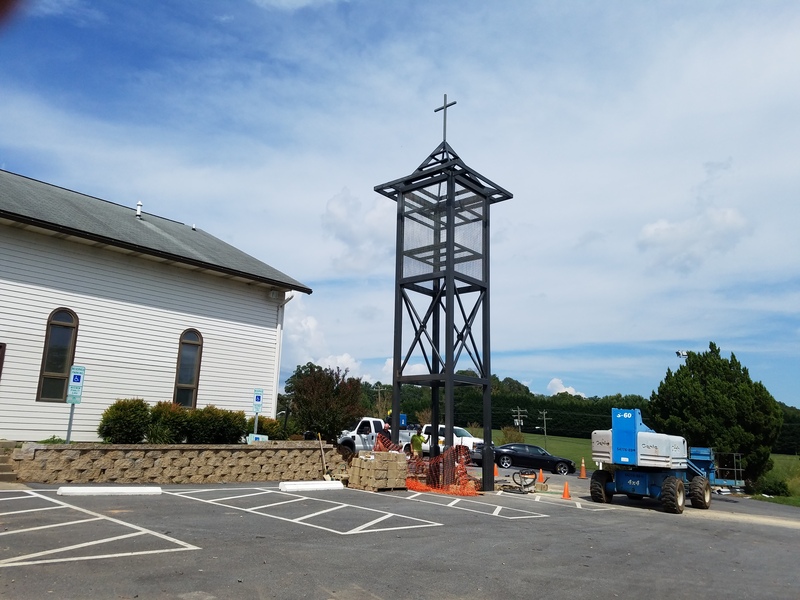 Once the new offices are completed, the present parish hall will be expanded. 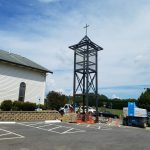 The progress of the construction may be followed on the parish website or its Facebook Page.